One of the members in the discussions says, it is much cheaper in the long run, if HOAs and landlords just allow each condo/apartment to install their own charger, powered from their individual apartments, or from a metered connection, instead of allowing vendors to install stations and then collect monthly fees and additional charging fees, forever. Vendor installations make apartment charging uneconomical compared to house owners. Now this could work for a some smaller buildings where parking is adjacent to the unit, but it's not possible for a large building/complex, especially where the parking is physically separated from the unit. Utility companies are used to spending large capital and having a longer payback. This could benefit to EV owners such as Tesla Model S and Nissan LEAF. Owners just need to have a bill with two meters on it, with TOU and the car meter. I think the concept itself is interesting. Has any reader here approached to his or her utility company for something like this? They may be excited by the idea or refuse, but that doesn't mean they are not impressed by with electric cars. If every MUD parking space simply had access to 120V outlet at a reasonable monthly fee the problem of powering electric cars would disappear for most people in apartments and condos. This would benefit not only Nissan Leaf and Chevy Volt but also Tesla Model S owners. Currently there are complex solutions, but there is definitely money to be made. A Nissan LEAF driver, named Marc Geller says, "I believe the task today is getting us to the future quickly, which means getting folks into BEVs and PHEVs. Easy, low cost access to adequate power is what's required, not some guess at what the future will be and building out for that. Speed for the internet and speed for BEVs is not a comparable need. Big bandwidth for the internet enables streaming, etc. People aren't going to drive more because they can charge quicker. The cars will still sit at work and at home for hours and hours every day. Level 1- 120V solves the problem for most people at the lowest cost, which is more enticing that spending an extra $500 - $2000 for unnecessary gadgetry. Give every car at a workplace or MUD an outlet or a 120V connector. Then we've narrowed down the problem to the 10-25% that actually need more or faster power without burdening the majority with the expense." Do you think 120V outlets are just too slow for charging electric cars? 120 Volt outlet too slow? For me and my Leaf NO. When we first got out Leaf we had considered just charging with a single outlet 20 A plug ( NEMA 5-20). We need a full charge twice a week so that would have been fast enough. We had a 240 Volt plug ( NEMA 6-20) already in the garage so we just got 3.3 KW EVSE and use that. For a Leaf, Volt, i3 even the 120 Volt outlet is plenty fast for an overnight charge. Tesla I'm thinking it would be too slow. The founder of the Tesla FB club lives in CA in a multi-unit condo. I believe he rents. There, where the culture is so strongly pro-EV, he was able to get a 240V charger installed and if my memory is right, the owner also installed a second for future owners. As the owner of four affordable housing units in New England I have thought about this. It would be so impractical I cannot imagine it ever happening. Burying cable underground is very expensive and requires two contractors (landscaper or construction and an electrician) be involved and get inspections from the town. It means cutting through the pavement in the parking lot in many cases, which nobody in NE would ever do unless it was an emergency. Finally, imagine a tired plow driver trying to clear a shared parking lot in a blizzard at 3am. He does not have to hit the EV charger to destroy it, the plowed snow has enough force to remove mailbox posts. This is a huge topic that EV advocates poo-poo as not a big deterrent to widespread EV use. It is. At a recent New England Motor Press Assoc meeting hosted by Nissan's Leaf team this was a topic that the members brought up. The Leaf team is extremely knowledgeable and passionate about EV adoption, but they had no practical answers to the multiple questions on this topic. Yea the snow plow got my neighbors mail box last year. Sad to say for BEVs the answer to no access to charging at home is usually DCFC. That is a pricy option. For PHEV with no DCFC ports there is as you say no practical answer. In California, it's the law: multi unit landlords *must* allow a level 2 (240V) charging station to be installed, as long as the tenant is willing to pay for it. There are probably other criteria , but It's still quite a good, forward-looking law. I think a 120v is just fine really. I drive a Volt so a bit of a different situation but just stringing a large power cable from my apartment to my space has been perfectly ok. Someone even does the same thing... just he uses it to hot box his garage so... eh, least no one complains. What is unique about where I live though is that the owner of the property is ok with occupants adding the infrastructure to the unit. I can have someone come in and install a permanent line from my apartment, to my parking space for added security beyond an extension cord. Granted this is a very unique situation but I have seen few places in Los Angeles allowing people to do this, or tap into the already existing power of the complex as a whole to just charge up over a standard plug. Finding them though has been difficult. Installing 110 volt is no different to installing 220 volt outlet. Either way it requires 2 wires. This equivalency is the whole point of split-phase system we have in the US (search on wikipedia to learn about split-phase). So, there is no point arguing about speed of charging. Valet service, move the cars to the charging spots. Each charger occupied 2 hours would charge 6 cars overnight and more during the day. The service could monitor the charge levels and bring cars over as needed or requested. 110V at each parking spot would work if added to new construction codes for MUD. Humans would have to move the cars for now however eventually a lot of the cars will drive themselves to get charged. Could also be done at large parking lots and structures at employers, valets and new construction codes with 110v at each spot. According to the 2011 Nissan Leaf owner's manual, 120 volt charging is not meant to be a long term solution. Is this also true for other EVs, or later model LEAFs? Direct from the owner's manual: Trickle charge Trickle charging is not recommended for regular use. Trickle charge can be used when it is necessary to perform an emergency charge at a destination such as a friend’s house. Trickle charge uses the EVSE (Electric Vehicle Supply Equipment) or an SAE J1772 compliant cord set to connect the vehicle to an AC 110 -120 volt, 15A dedicated outlet. The outlet should be protected by a dedicated circuit breaker or fuse to avoid overloading the circuit or other electrical hazard. 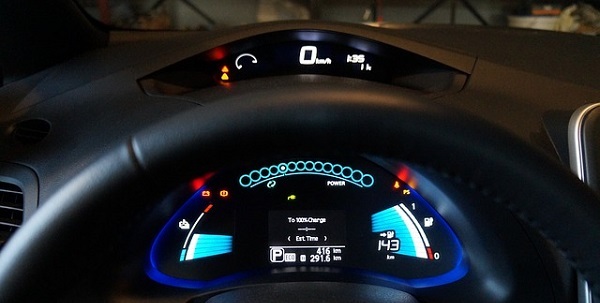 It takes approximately 21 hours to charge the Li-ion battery from discharged (low battery charge warning light illuminated) to charged. See “How to trickle charge” later in this section. Personally, I abide by the owner's manual (they put it in there for a reason). I only charge at 240 Volts or DC QuickCharger. But, I have done "emergency" 120 volt charging twice, when I didn't have a choice, twice in the year I have owned the car. Years ago when the Leaf first came out, a rep mentioned plans for battery swapping stations as an alternative to installing fast chargers everywhere. As someone who does not have easy access to either a 120v outlet nor the ability to install a charging station at my home or work, this would be my only option for keeping a BEV running. At the moment, it's the only factor preventing me from buying one. A standard 120 wall outlet has been fast enough for a full charge for my Leaf to get me from 20% to 100% overnight.